We wonder why the pews are empty? Labels: denigration of office, El Padrecito Ministries, Fr. Masseo Gonzales, hip-hop, music video, new evangelization, profane, rap, what the ? Traditional Catholics (aka “rigid Christians”) are full of hypocrisy! 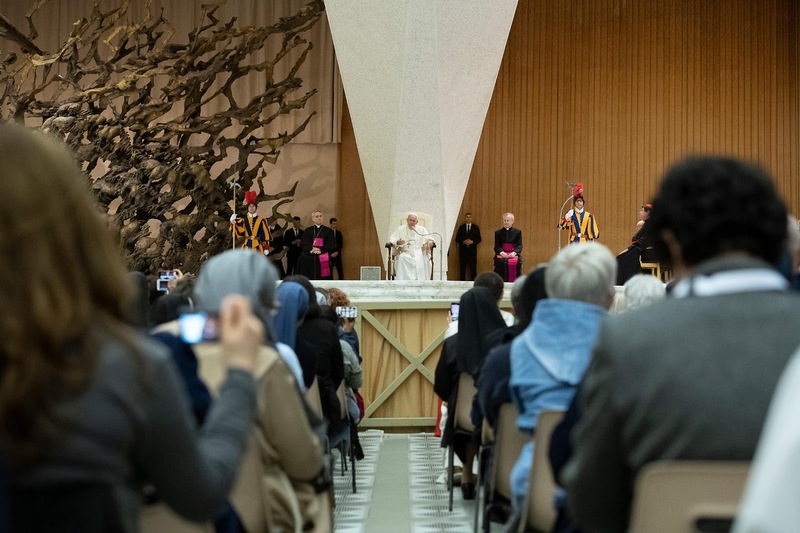 Is Francis projecting his neurosis again? Mocking Christ is a religious experience for this family! Francis tweets his infinite wisdom to the world again! ...God, when He threw the money changers out of the Temple! Don’t forget to check out Francis the Humble’s book! 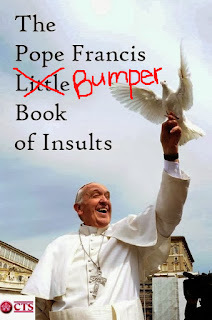 The ‘humble’ Francis pontificates from his dais. “I had thought of making a speech, well-written, good… But then it came to me to speak off-the-cuff, to say things suited to this moment. Pope Francis: Consecrated Need Authentic Guide, Zenit, (4 May 2018). Recently, we received a question asking us why we refer to Opus Dei (formally known as The Prelature of the Holy Cross and Opus Dei) as Opus Judei. There are several reasons for this, the strongest being that many of the teachings of José María Escriba resemble Talmudic Judaism if not are borrowed from it. Below is one example of borrowing from Talmudic Judaism. 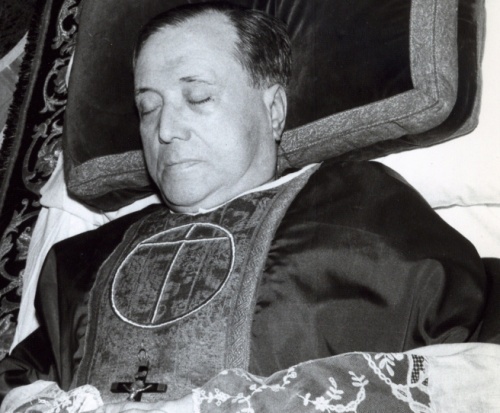 The wakes of the founder of Opus Judei, José María Escriba, his successor, Álvaro del Portillo, and his successor, Javier Echevarría, are bizarre. 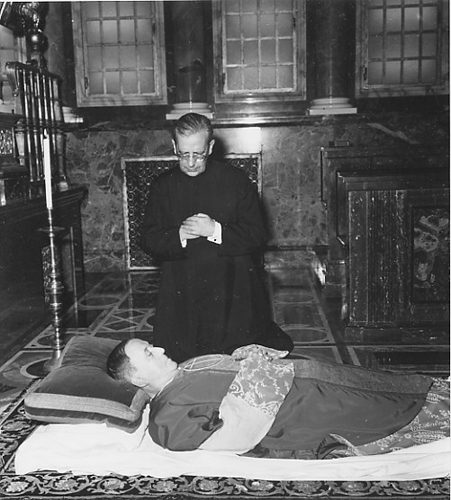 Have you ever seen a Catholic laid out on a carpet on the floor? José María Escriba reclining on a carpet for his viewing. 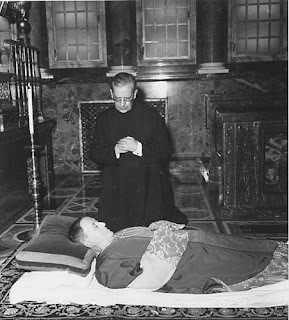 Another view of José María Escriba laid out. John Paul II came to Álvaro del Portillo’s wake which was carried out in the same manner. You guessed it, Javier Echevarría lays on the floor for his wake too! Excerpt from Rabbinical Seminary textbook — Jewish rules of mourning — endorsed by chief rabbi of Rome, Riccardo Di Segni. [English translation is CMJ’s], Jewish rules of mourning: notes of a course from the Seminary D. Almagia, p. 17. 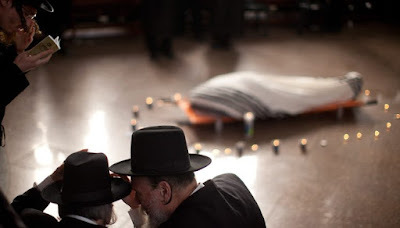 Talmudic Jews reciting Kaddish over a dead body. Spiritual hugs for everybody and everything! video source: facebook, Yafa Dan, סולטאני כאלבאם.... חיילים שרים , May 3, 2018. Ahmad Zahir - Sultan e Qalbam (English translation), Lyrics Translate, (5 February 2011). You can bet, that it isn’t Iran. Iranian-born immigrants to Israel are drafted to its military intelligence units in disproportionately large numbers, an official report said on Thursday. This fact reflects the military's high demand for Farsi speakers to monitor the Jewish state's arch-enemy. A story in the official Israeli military journal Bamahane included rare personnel data showing that one in five Jewish immigrants from Iran serve in intelligence units due to their native Farsi. "Bringing Iranian natives with a command of Farsi into the intelligence corps is a priority," the organizer, Adi Bublil, said. "They have an advantage, as Farsi is not a common language among young men and women in Israel." 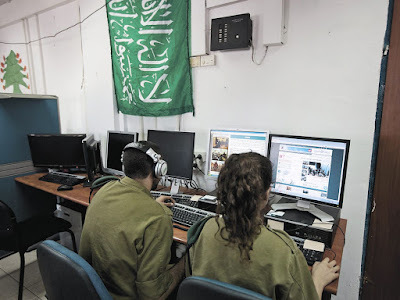 Israel's military intelligence corps is well-funded and staffed. Its Unit 8200 specializes in electronic eavesdropping and is often likened to the U.S. National Security Agency (NSA) or Britain's Government Communications Headquarters (GCHQ). Last September, Israel's top-rated Channel Two TV aired footage of military intelligence soldiers in a Farsi class. According to that report, Iranian-born troops were included in the language program, which lasts seven months and twins comprehension of technical terms with Farsi songs and Persian folklore designed to improve eavesdroppers' colloquial skills. "We need to know everything (about Iran), from combat doctrines to weaponry to operational routines to slangs and codes," said the training academy's commander, a lieutenant-colonel whose name was withheld under secrecy regulations. 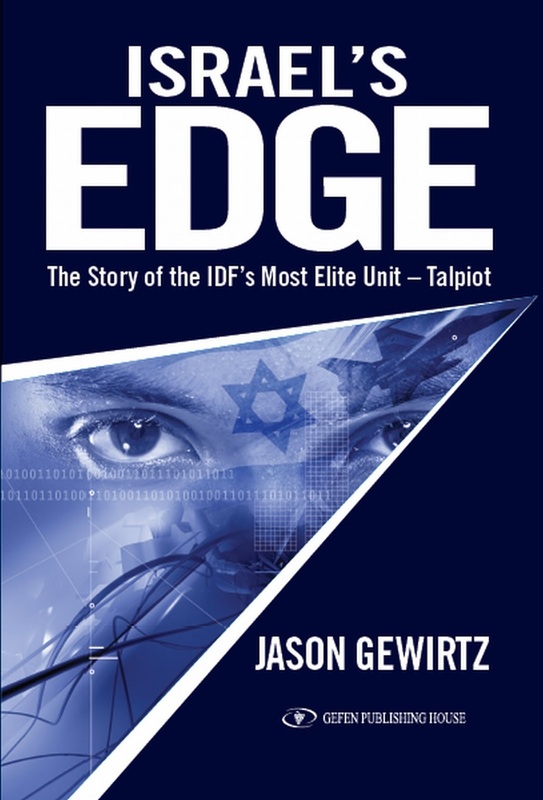 Israeli Military Fills Up Intel Units With Iranian Immigrants, Report Reveals, Haaretz, (9 January 2014). Graduates of Unit 8200, the IDF's technological spearhead. Thanks to bridget for providing us with the information leading to the identity of the IDF soldiers. These past two and a half months, the video below of “Patriarch Elijah of the Byzantine Catholic Patriarchate” declaring the excommunication of “pseudo Pope Francis” has been making the rounds. 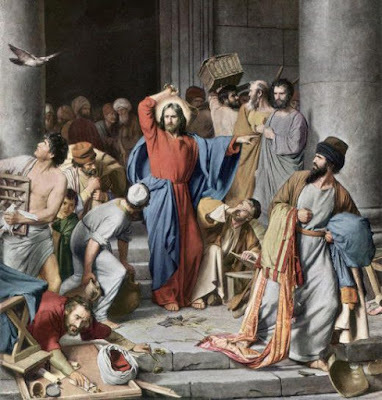 It is a sad commentary that Catholics are promoting this fraud as an upholder of the Catholic faith and the Orthodox religion. Patriarch (of nothing) Elijah excommunicates Francis! That’s great is it not? 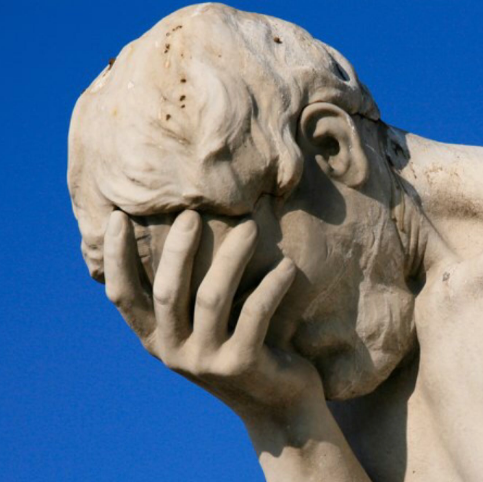 Eastern Catholics recognizing the fact that Francis isn’t acting in a Catholic manner. Hold on moment, let’s look at who Patriarch Elijah is and what the Ukrainian Orthodox Greek Catholic Church stands for. The Ukrainian Orthodox Greek Catholic Church, according to their website, is a new church, founded in 2009. Now let’s examine what they did in their first year of existence. 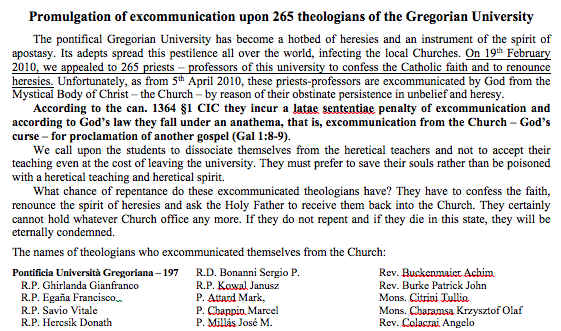 They wasted no time in excommunicating 197 members of the Pontifical Gregorian University, 14 members of the Pontifical Biblical Institute, and 54 members of the Pontifical Oriental Institute. 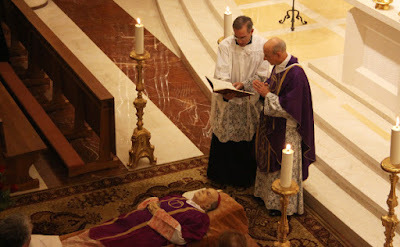 They were just getting warmed up for they next declared an anathema against the 2271 active bishops of the Catholic Church and 989 bishops emeriti. All this and their Ukrainian Orthodox Greek Catholic Church hasn’t even celebrated its one year anniversary! Now let’s look at ‘Patriarch Elijah’. ‘Patriarch Elijah’ was born Anthony Elias Dohnal in 1946. He was ordained a priest for the Roman Catholic Diocese of Litoměřice in Czechoslovakia in the early 70’s and was active in the Catholic Charismatic Renewal during the 80’s. In the 90’s he joined the Greek-Catholic Order of Saint Basil the Great and later formed an “experimental community” contemplative branch Order of Saint Basil the Great which was soon was suppressed. In the early 2000’s the group to which Dohnal belonged split from the Ukrainian Greek Catholic Church which they accused of numerous heresies, syncretism, and occultism. The group was soon excommunicated by the Ukrainian Greek Catholic Church but appealed the excommunications to Rome. By 2008, the Vatican’s Apostolic Signatura issued a ruling which stated that, “The Apostolic Signatura thereby stresses that the UGCC tribunals...were qualified to consider the respective criminal matters, and the sentences of the great excommunication penalty imposed on them are final.” Soon thereafter, in 2009, Elijah Anthony Dohnal was consecrated a bishop and in 2011 was elected head of the Ukrainian Orthodox Greek Catholic Church. Patriarch Elijah has proceeded to excommunicate (as demonstrated above) what seems like the entire world except for one person, his beloved hero, Vladimir Putin. Oh, and there is that sticky matter that Anthony Elias Dohnal is a KGB agent #23064, code name “Tonek” since before the fall of the Berlin Wall. We could go on but the above should suffice. Declares Jan Hus, a precursor of the Protestant Revolt, a saint! Labels: ‘Tonek’, Byzantine Catholic Patriarchate, charismatics, excommunicated, KGB, Patriarch Elijah, Ukrainian Greek Catholic Church, Ukrainian Orthodox Greek Catholic Church, you're excommunicated!